These beauty tips and tricks at home highlight the way people lived many years ago and teach us simple and natural tricks like natural remedies for dandruff! A few months ago Matt and I were shopping in a nearby city and stumbled into the most charming little General Store. One of the first things I picked up was a publication full of interesting information from the 1800s. I’m always intrigued by the way people lived hundreds of years ago. They didn’t have the conveniences we have now, but they had methods that were tried and true for every area of daily living. 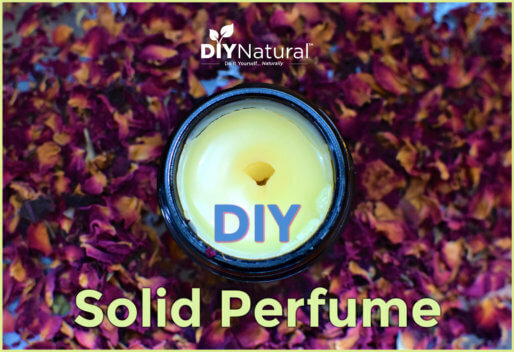 It seems much of what we write about on this website is information they would have known: how to clean with natural products, how to garden, how to prepare your own personal care products, and how to make homemade gifts for your loved ones. Our mission is to help people return to simplicity and self-sustainability. Previous generations knew this lifestyle well. I digress. Let’s get back to the book in the General Store. The best remedy for foul breath is powdered charcoal, half a teaspoon, spread on a piece of bread, and eaten once a day for two or three days. This one cracked me up, because I just imagined a proper little girl in her frilly dress, looking up from her bread and smiling across the table with a mouth full of black teeth. Very proper, indeed. I guessed this remedy was referring to the equivalent of activated charcoal, not the type you would start your charcoal grill with. Upon further reading, I learned that charcoal biscuits were commonly used in the 1800s to remedy stomach problems or excessive flatulence. Activated charcoal is often used today in cases of accidental overdose or poisoning. Charcoal has the ability to bind itself to certain things in the body and help flush them out, undigested. Perhaps the idea behind this bad breath remedy was that the black powder bound in a similar way to the bacteria in the mouth when taken orally. I love this thinking, however, I won’t be eating a bread and charcoal sandwich anytime soon. To remedy greasy skin, mix one half pint of distilled water, 18 grains of bicarbonate of soda, and 6 drops of essence of Portugal, and bathe the face with it. A quick look at this remedy’s list of ingredients will show that it involves water, and baking soda and something called essence of Portugal. With a little bit of online digging, I determined it is something like orange essential oil. This makes perfect sense as orange oil has natural degreasing properties. This portion of the pamphlet was perfect evidence that what once was old is new again. I love baking soda for my face. I keep a small container of baking soda in the shower and use it to scrub my face about once a week. It absorbs excess grease and does a wonderful job of gently exfoliating without being too harsh. (I may consider adding a few drops of sweet orange essential oil to the dry baking soda I store in my shower!) It’s kind of like frugal microdermabrasion. I sprinkle a little baking soda in my hand, add a little water from the shower to form a paste, and rub it gently all over my face before rinsing well. My face feels so smooth and clean after using the baking soda wash. 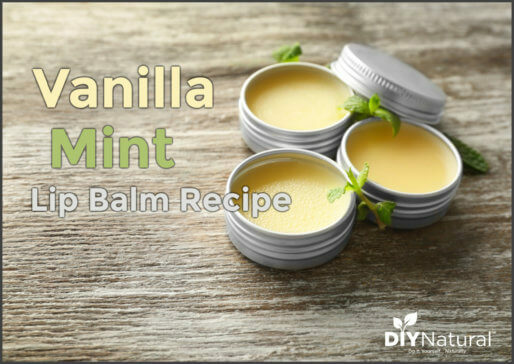 This remedy is a great one to try at home if you’re looking for something for oily skin! To remove dandruff, mix glycerine with a little rosewater. I was particularly interested in natural remedies for dandruff since I have struggled with a dry scalp my entire life. I’m willing to try anything to eliminate the flaking and itching I constantly deal with. The dry winter weather and massive amounts of chlorine in our city water only exacerbate my problem. I didn’t want greasy-looking hair so I used more rosewater than glycerine. I sprayed this mixture on my dry scalp for a few days, checking the results each day. RESULTS: It worked!!! I noticed a huge difference after the first day, and it got better after each application. Another bonus: my scalp and hair smelled all flowery and nice! I must note that this natural remedy for dandruff is not a long-term solution, because after I stopped using the spray my scalp returned to its dry, itchy state. But if you’re looking for an immediate fix for flaking and itching, this worked for me and is worth a shot. You could also try using more glycerine with “a little rosewater,” as the remedy suggests – this might give longer-lasting results. Check out our other home remedies for dandruff. 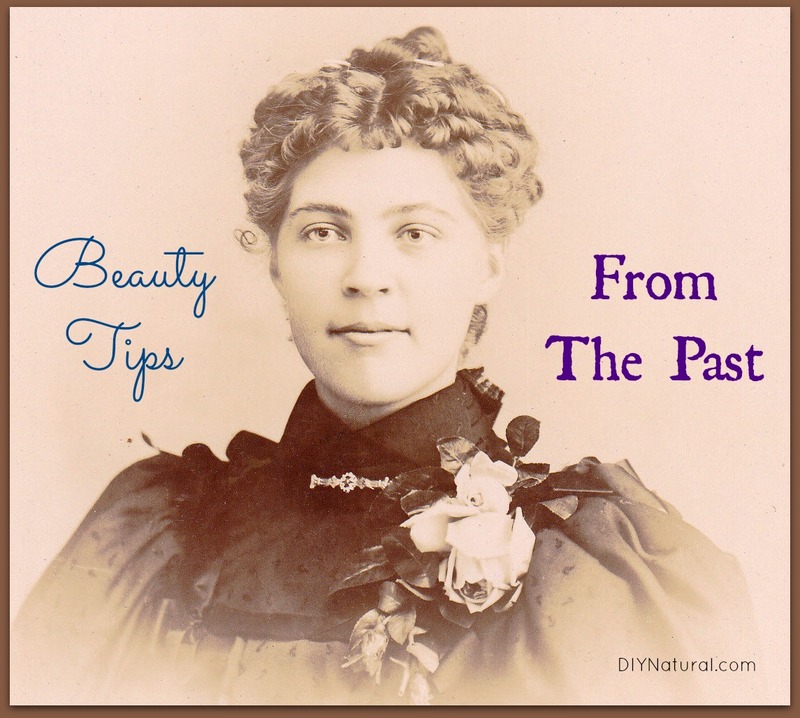 So let’s review the advice we have here from the 1800s: take your bread with charcoal and you’ll have fresh breath, wash your face with baking soda to eliminate shine, and avoid embarrassing flaking by spraying a floral mixture on your scalp. While I would NOT recommend using charcoal without a medical professional’s advice, I love the other two remedies. I get a little giddy when I can learn to simplify and become self-sufficient with advice from the past. Especially when it’s easy, frugal, and practical – and it usually is! What do you think of the tried and true tricks from former times? If you have some we missed, be sure to share with the community below! Children’s Manners and Morals. Nashville, IN: Historical Folk Toys, 2006. I love using baking soda and fresh lemon juice as a facial scrub. It leaves the skin exfoliated and evens my skin tone. I do this once a week in the shower. Okay I wanted to repost as, I had posted above about the dandruff. After reading this about the flouride, and the chlorine, I asked a co-worker if they put chlorine in our water (I’m new to the area) and she said they did. So I went to the store and bought distilled water. That was the problem! My entire life I’ve been dealing with dandruff only to discover it’s the water!!! I’ve only washed my hair twice, but the first time I was able to go three days without washing, with only a third of the dandruff build up that I normally get. And I washed again last night, I can already feel natural oils building up, and no itching!! I love it! So thank you so much for your suggestions!! I knew there had to be an answer out there, but it’s so relieving to have found it! I am working on no shampoo still. I tried it for a full week the first time and my hair was SUPER greasy. I used baking soda and water, apple cider vinegar, and even a peppermint liquid castile soap variation. I have extremely thick hair (Native American) …has anyone tried something that worked for no poo? I appreciated your info on flouride. Your site is what inspired me to go chemical free 8 months ago! I now teach my friends what I have learned. The no poo thing has me stumped though. Thank you! I live in an area where there is a lot of fluoride in the water naturally. Too much fluoride causes teeth to become brittle and chip. I try to discourage anyone from using commercial toothpastes as almost all have fluoride as an ingredient. I use baking soda and my teeth feel much cleaner than when I used commercial toothpaste. This contains so many interesting ideas that I will pass on to my son-in-law. Thank you. I liked reading the “Apologies…” article, it was more visually interesting….Use that for an editors trick every now and then. As always your articles are so professional. Great job! I would be more worried about the amount of tea tree oil you’re using, and not so much about the baking soda. Tea tree oil can be drying, and it sounds like you’re using a lot. You’ll want the tea tree oil to be at about 1% concentration in the aloe vera solution. Using more essential oils usually does not make them more effective. But yes, experimentation is the key with these DIY solutions. 🙂 Hope that helps! Thanks! I had only just started using it. So hadn’t suspected it yet. For the past four months I’ve been rubbing coconut oil into hubby’s scalp and hair once or twice a week. He leaves it in for an hour or two and then showers. He says his itching and flaking has diminished by about 80% and his hair is much less dry and splitting. Thanks for sharing this! Coconut oil is so great, isn’t it? I love these…I count the wisdom shared by my Grandmother and Great-Grandmother as the foundation of how I live my life today… you know, women who kept apple cider vinegar, baking soda, etc., nearby for any and everything…wise women indeed! My Uncle grew up always brushing his teeth with baking soda, as it was inexpensive. He never changed as an adult even though he could afford anything he wanted. He never had a single cavity or gum problems in his entire life. When he passed away around the age of 70, he had every one of his sparkling white teeth. See? The aisles full of commercial toothpaste are such a scam! I love hearing stories like this…thanks for commenting Nancy! When you are using the b.soda and water (1tbsp : 1 cup) do you use the whole solution or is it a squirt here and there? It really depends on your hair thickness and length. I usually use about 1/8 cup each time I wash my hair (and I have very thick, long hair). You can use as much as you like though, whatever you think gets your hair clean. My youngest daughter had always had problems with dandruff until I read about chlorine in city water aggravating many skin conditions. I went to Home Depot and for $20 I bought a shower filter which is super easy to install, and after a few days, her dandruff was gone. I even noticed that my eczema seemed better and my we just felt “cleaner”. Well worth the $20. What’s the brand name of the shower head? Does it have an adjustable spray on it? Does it spray a bit wide or a rather narrow stream? There is a disabled person in our home, and sitting on a shower chair they need a bit of a wide spray since they are a distance from the shower head. Thank you for your help, I really appreciate it so much. It is called Sprite Showers universal shower filter. It screws onto the pipe coming out of the wall that you put your showerhead on. So you would take off your old shower head, put the filter on, then put your showerhead back on. If you look on Home Depot.com and search for this shower filter by the name I gave above, you will should be able to see it. You existing showerhead just screws right into it. I love it. And the filter cartridge inside is replaceable, and costs $10. I change mine every 4 months. It does a good job. Thanks so much for all of the information Lori. I really appreciate it. I’m curious as to how you keep baking soda in your shower without it getting all wet and clumpy? Just discovered your site-I don’t use any natural remedies/cleaners/beauty products other than white vinegar in various tasks around the house, but I’m interested in learning more and getting rid of some of the chemicals around our house. Your site makes it sound really easy. Thank you very much Kat! And I never knew the parmesan lids fit mason jars-that’s something I’ll need to remeber! Becah, I use a repurposed vitamin bottle that has a flip-cap. Similar to Kat’s suggestion, you could use a repurposed spice jar with a shaker top if you wanted a smaller container for the shower. I’ve actually started washing my face with a coconut oil, baking soda, and cornstarch mixture recently. (It’s actually a deodorant that didn’t stay to well in deodorant form and makes me breakout unless I wash it off immediately…little good that does as deodorant.) Love it! And my face hasn’t been too oily, even when sweating outside at work! (Something that I’ve battled with no matter what I’ve tried…even oils as suggested in other blogs that I’ve read, so it must be something about the combo that my skin likes.) I follow up after my shower with some witch hazel on a cotton ball, to continue to keep the acne flare-ups away (haven’t fully “outgrown” that yet, but as they pre-date my swtich over to the current mixture, I can’t blame the flare-ups on the change). Haha. I love these tips! Such great nuggets of wisdom that come from the past. 🙂 Thank you for sharing these, can’t wait to try the baking soda trick this summer! My husband and I ditched the chemical laden shampoo and conditioner almost a year ago and have been using carb soda and water instead followed by a spray of apple cider vinegar and water which is not rinsed off. Both mixtures are 1 tablespoon to 1 cup of water. Result is perfect shiny hair with no dandruff. Fantastic result but sadly most people don’t believe it. This is exactly what I use, and I love the results it gives my hair…just doesn’t do anything for my scalp. I’m blaming it on our super-chlorinated water though. 🙂 Good for you for switching and giving chemicals the boot! I stopped using baking soda as a shampoo just because I get dandruff from it. But I found a great remedy : mix 2 table spoons of honey with a three table spoons of olive oil. Rub into your scalp and hairs, wrap it with shower cup or just some plastic bag and towel. Leave for 30-60 minutes, wash it with a shampoo. Dandruff disappears immediately and hairs are really soft and fluffy. You’re so right Blu! An olive oil/honey scalp treatment has helped me in the past. I just did one this week with coconut oil/honey, and it did NOT give me the same scalp results as olive oil and honey. Interesting, huh? I have wanted to try going “no poo” but haven’t yet. I have colored my hair for a long time and read that the baking soda “shampoo” and vinegar “conditioner” will strip the color. Don’t know if I’m ready for that….my hubby either, he likes the color I use. Any suggestions? Thanks Betsy! That’s encouraging news. I’ll give it a go, can’t hurt to try! I also color my hair and I too use baking soda and vinegar rinse….my color doesn’t seem to be washing out. LOL! I’m imagining the poor cat who would be subject to participating in this cure! 🙂 That’s too funny. Thanks so much for reading our information and returning to share with us Del! I love learning how people lived in the past. I think we have a lot to learn from them. Living more simply and naturally is better all the way around. It’s better for our health, our pocket book and for the earth. My grandmother always used baking soda for toothpaste and she most of her own teeth when she died at 89 years old. I love your recipes, Matt and Betsy. I used to feel a bit overwhelmed in wanting to go with natural cleaners, health and beauty recipes, but you introduce them one or two at a time and I’ve been able to incorporate them in my and my families lives at a rate that we can all adjust to. Thanks again. It’s all about baby steps! I’ve been at this process for over a year now and love every step of the way. On the subject of dandruff, doing a rinse with apple cider vinegar at least once a week is supposed to cure dandruff. =] Dandruff is actually a type of fungus. Not only that, but if helps strip the mineral build-up (well water, oh joy) in your hair, making it softer and shinier. I remember when I was young (1950s) my mother would send me to the chemists for glycerine and rosewater which she used on her hands. She said it made them soft and smelled nice. What a cool memory. 🙂 I love the smell of this scalp spray on my hair. The floral scent is a really nice change from all the herbal scents I usually have in my products. I always have used blue dawn dish soap to get rid of dandruff and clarify my hair. It’s amazing! I recently reccomended it to a coworker who’s scalp kept itching and she was amazed by how well it works! Interesting! Thanks for sharing Samantha! I’ve seen numerous posts recently about using activated charcoal for whitening teeth — I don’t believe they have advised ingesting it, though. I have wanted to try it but just haven’t ordered any online. Actually, I have used it and it does work. I also ingest it occasionally for removing toxins. You do have to brush with baking soda after to get it out of all the crevices but what a nice whiter smile! Olinda Paul, thank you for sharing your experience! I’m going to try it. Where do you purchase yours? 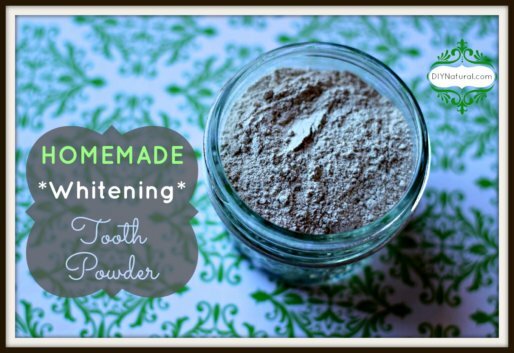 Yup, activated charcoal (not the same stuff you use in your grill) is a wonderful tooth whitener. Matt’s holistic dentist actually recommended he take activated charcoal after he had some amalgam fillings removed, to absorb the mercury and safely remove it from the body. I just wanted to share with you that I have often struggled with dry scalp as well but since I started washing my hair with baking soda it has gone away. I don’t know how far back in time this goes but it works for me! I also use baking soda instead of shampoo. (one tablespoon shook up in a cup of warm water and poured over my pre-wetted hair. I’ve been known to put a few drops of grafefruit essential oil in the ‘shampoo’.) My hair is soft and shiney. Sometimes I rinse with a teaspoon of vinegar in a cup or two of water after I’ve rinsed out the baking soda. Hi ladies, This is exactly what I use for my hair, and under normal circumstances is is GREAT on my scalp! We just need to get a water filter for our shower head b/c our city water is sooooo chlorinated, and I suspect that’s most of my problem. just a recommendation for you Betsy.. You can get a Sprite shower filter pretty cheap on Amazon that filters out chlorine. This is the same filter that the Burkey Shower Filter uses.. We’ve been using one for about a month & we love it. Thank you for the recommendation! We’ll be looking into this one!